Without a doubt, one of the most common questions we get at The Grow Group from the landscape pros we work with is What numbers should I be looking at? This discussion invariably leads to the need for a financial and efficiency dashboard, a central location with meaningful data points from which you can run your whole company and always have a pulse on how well you’re doing. A dashboard empowers you to make decisions, but it can be tricky. Depending on the numbers you’re looking at and when you’re looking at them, it can be your guiding light or it can be a misleading hall of mirrors. That’s why we’ll be taking a deep dive and providing hands-on help on this subject to landscape pros at GROW! 2019 in a special interactive workshop. We’ve seen first-hand the difference having a good dashboard in place makes at the landscaping companies we coach and consult with, and we want everyone at GROW! to be able to benefit from this tool too. The first rule is: Don’t overcomplicate this! If you have specialized software that can provide you with a customizable dashboard, great. If you don’t, you can use Excel, Numbers, or Google Sheets. The second rule is: A meaningful dashboard comprises daily, weekly, and monthly metrics. You need all three to succeed. Cash on hand. Remember, a good rule of thumb is 2.5x average payroll. Accounts Receivable Balance. In our industry, we recommend keeping your total accounts receivable balance below 15% of your sales. Accounts Payable + Payroll + Payroll Taxes and Benefits. This gives you an indication of cash leaving your bank this week. (If you run payroll biweekly, then your payroll and payroll taxes and benefits are “zero” every other week.) Couple this metric with your daily dashboard and you’ll have a good sense of your weekly cash flow. Year-to-Date Sales vs. Budget. Don’t take your eye off selling, ever. This metric will consistently remind you of that. Weekly Efficiency Rating of Work. Continually track how many hours you’ve spent on a job vs. how many hours you bid for it. It doesn’t do you any good to do this only after the job is completed; by then it’s too late to correct for errors. Your Profit and Loss Statement. Again, don’t overcomplicate this! Your P&L essentially is your monthly dashboard. It reveals your sales, your cost of goods sold, your operating expenses, and your profit. Always start with your P&L collapsed to just those main categories, and use those numbers to benchmark against your budget and goals. If you notice any aberrations, you always have the ability to drill into the specifics, but start from the 30K-feet view. Your Balance Sheet. Keep this simple too. Print your balance sheet along with your P&L. If you’ve kept control of your daily and weekly dashboard numbers, you should have no surprises. A good dashboard tells you where you are at all times vs. where you planned to be. It demonstrates to your team in a clear, measurable way what’s important to your company. Most critical of all, it enables you to correct course and to play offense rather than defense. And that’s how you win at business. Hope to see you at GROW! 2019 and have a great week! GROW! 2019 is just one month away! Spots are filling up quickly for both the conference and the hotel, with many companies bringing large teams. 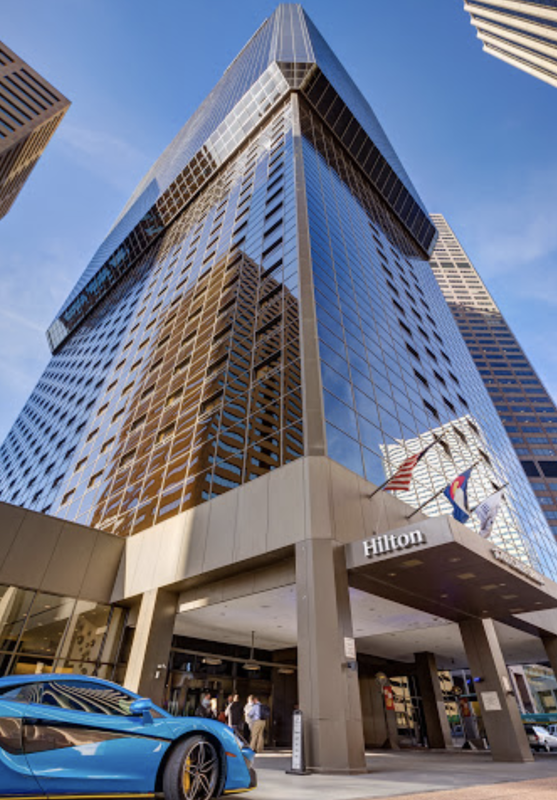 The special hotel rate at the Hilton Denver City Center expires on January 29 but our block is on pace to sell out soon. In other words, sign up fast to secure your spot! Following the conference, The Grow Group is heading to Beaver Creek, Colorado, for two days of fun in the snow and relaxation. Join us, and bring your spouse or partner, too! Sign up and we’l deliver our weekly Great Idea to your inbox every Sunday.